Access control systems work by limiting entry to certain employees based on a fob, keycard, unique code, etc. Are you worried about the security of your commercial building and need a new access control system installed or an existing one updated? If you want it done with excellent service at competitive prices completed by expert locksmiths in Fort Worth, Fort Worth Locksmith Pros is the solution for you! We are sure you have a story of dealing with a company that was happy with 4 hour service windows, charging you what they saw fit after the fact, and acted like you should be happy they even decided to work with you. We think this story is a horrible one and are continuing to rewrite the book on customer service, friendliness, and convenience. Fort Worth Locksmith Pros takes pride in our prestigious 24-hour call center. We have been around for over 5 years and have a team of experienced representatives and technicians that are professional, dedicated to their work, and eager to take care your locksmith service needs and exceed your expectations. We know how stressful running a business is and we are taking just one thing off your plate with our service for access control systems. If you have an instant need, we will even have one of our experienced and friendly technicians contact you within minutes of your call. We also realize that this may not be what you typically expect of a service company, but we are anything but typical. It is time for you to change your expectations of what service and convenience look like and contact us today! 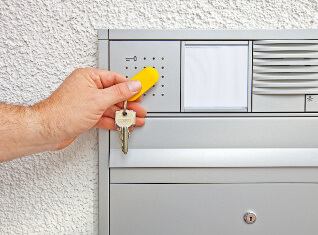 If you are in Fort Worth, TX and surrounding areas and need assistance with your access control system, you need to contact Fort Worth Locksmith Pros. In addition to installing and repairing access control systems, we also offer complete locksmith service for commercial properties. Access control systems make sure that only the people you want into your business come in and keep a running track of who has entered, who has exited, and when. This is great for any government business where security is essential or any other business where you want that extra piece of mind for you and your employees along with making the job that much easier on your existing security staff (or even prevent you from needing one). Ever feel like you are left in the dark with pricing? Not with us! We provide upfront pricing, 5+ years of experience, along with fast and friendly, 24×7 locksmith service in Fort Worth. We will send one of our expert technicians that are licensed, bonded, and insured to assist you with your access control system installation and repair and more! Nothing is more important than the safety of your organization so don’t leave that security task to just anybody. We pride ourselves on being experienced and flexible to your schedule. That is why we offer our services 24×7 because your needs never rest and neither should we! You put your heart and soul into your organization. As a result you take pride in your work and want to work with a company that takes pride in you too! If your business is important to you, you are important to us! 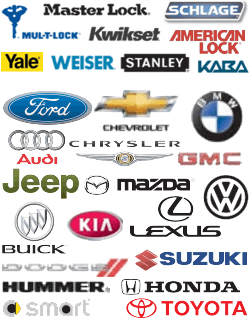 Take advantage of our mobile locksmiths, commercial locksmiths, and 30 min response times. You won’t find anyone better in Fort Worth, TX and surrounding areas to professionally and courteously deal with your access control system needs. Count on the 5+ years of service of Fort Worth Locksmith Pros for your commercial premises. We replace, install, and repair access control systems for government buildings, supermarkets, malls, offices, condominium entrances, etc. And with our upfront pricing and 30 min response, you will never be left guessing and waiting for hours on end. So, increase your expectations and let us get started! Let today be a new day for you and your company; a day where you are no longer placed second. We promise to provide professional service that is legendary! So do not leave your security needs to just anyone. Turn to the 24×7 locksmith service that is licensed, bonded, and insured to better serve your needs. Trust us once and you will never have to worry about who to call ever again! You wouldn’t trust the security of your family to just anyone and your work family should be the same! Let us show you how easy the process can be! 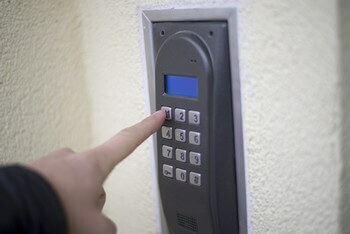 Access Control Systems Setup and Repaired http://locksmithftworthtx.com/access-control-systems/ 3.8/5 based upon 5 reviews.